We have a plan for this Sunday. We are going to come home from yet another travel weekend, put on comfy clothes, clean exactly enough so that we can function on Monday, make some cozy food, and watch the sportsball while ignoring each other on our phones and willing Will to sleep. It’s going to be the greatest ever. There have been years where we’ve had it in us to have big fun parties and make a ton of food. Those years are fun in different ways, but this year I’m feeling one decadent thing with one person (I guess it has to be Jay) and minimal involvement since I 1. don’t care about football and 2. Ugh, the NFL, honestly. But but BUT! I want you to make food. A lot of food! Maybe an entire Buffalo-themed party, which you know is my dream in life. 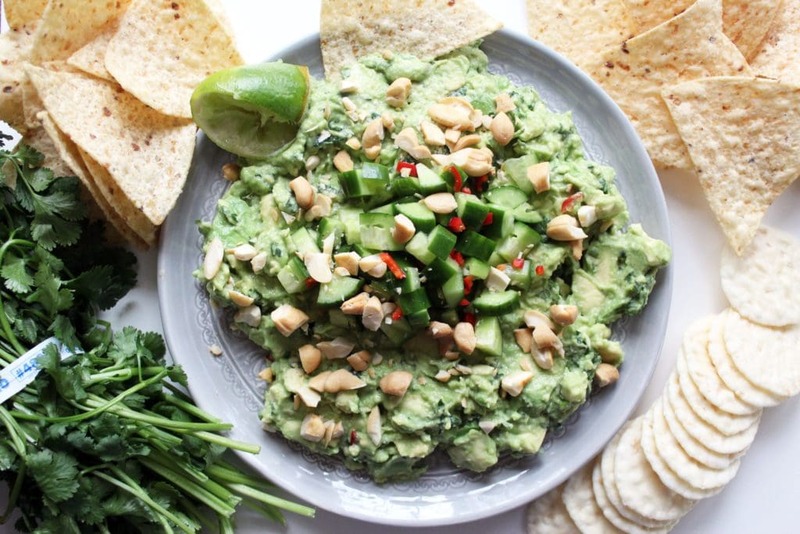 Here are some of my favorite at-home game-watching, mouth-stuffing, Instagrammable foods for Sunday’s Super Bowl. Slow cooker baked potatoes (87 is the right number of toppings). 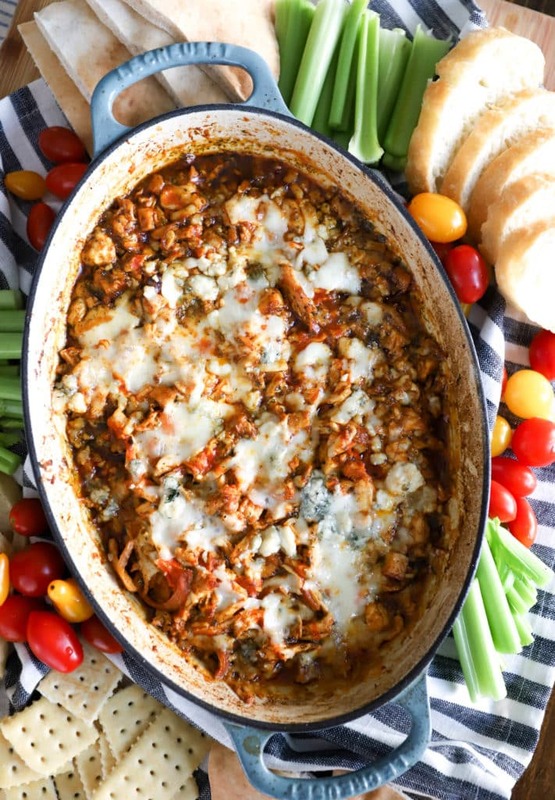 Spicy sausage vodka sauce (with noodles or zoodles for low carb). Sour cream lime guacamole (gets devoured every time). Korean BBQ lettuce wraps (make some rice for rice bowls if you’re into that). 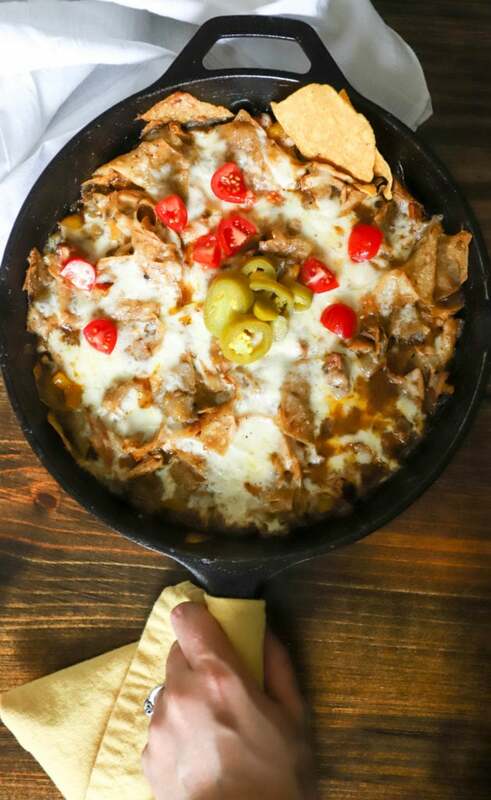 Quick chilaquiles (it’s chips for dinner). 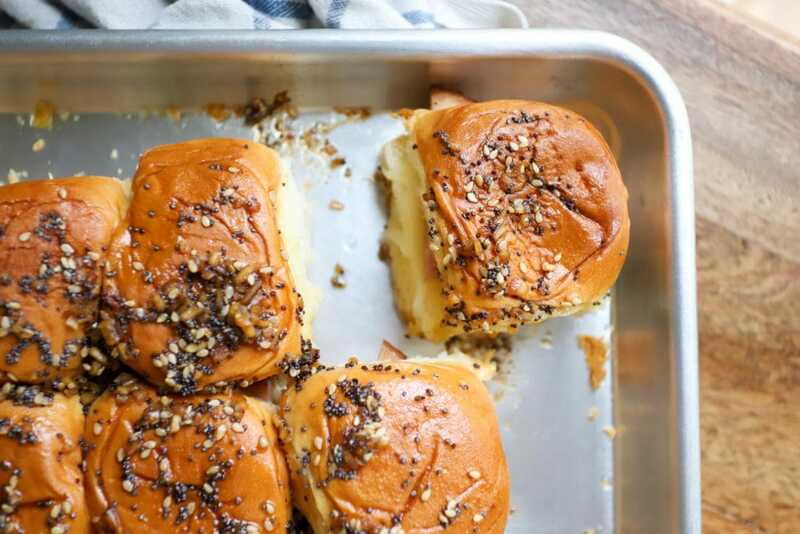 Ham + swiss sliders (ham delites, you know you want ’em). 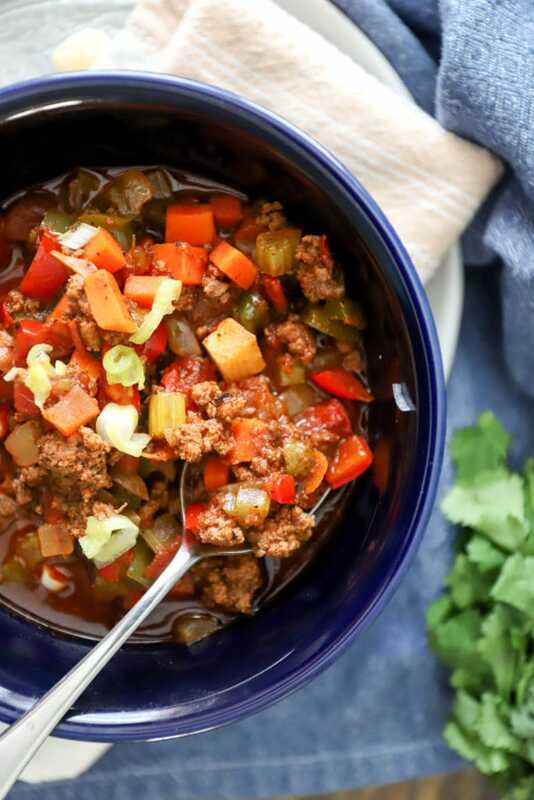 Whole30 beef chili (I’m not huge into beans so this works for me). Homemade ranch dip (rounds the whole thing out, you know). I’m on the hunt for some new comfort food, whole food but not obnoxiously healthy, not hard to make but crazy flavorful. I’d love for you to leave some links below!